The War for a Nation provides a brief introduction to the American Civil War from the perspective of military personnel and civilians who participated in the conflict. Susan-Mary Grant brings the war, its many battles, and those who fought them – male and female, black and white – to the center of a riveting narrative that is accessible to general readers and students of American history. The War for a Nation explains, in a clear narrative structure, the war's origins, its battles, the expansion of the Union, the struggle for emancipation, and the following saga of Reconstruction. 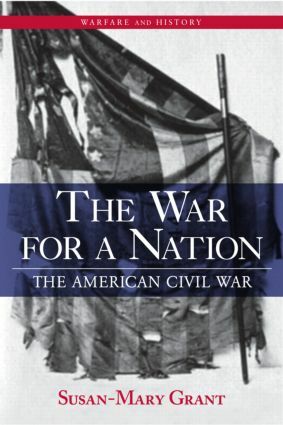 By drawing its examples from primary source documents, first-hand accounts, and scholarly research, The War for a Nation introduces readers to the human-interest aspects as well as the historiographical debates surrounding what was the most destructive war ever fought on American soil.